Making Brands Look Great. Custom Packaging with Digital Technology. Digital printers are capable of printing to corrugated materials for a range of packaging applications, including mailers, shippers, and custom boxes. They print directly to the substrate or to a liner, which is applied to the corrugated material post print. As both techniques advance, packaging manufacturers are driven to invest in digital technology. Above: CompanyBox of Charlotte, NC works with multiple digital presses from HP to produce its 13 categories of packaging products, including mailers, shippers, POP displays, and trademarked Event Trash Boxes. Established in 2016, CompanyBox LLC brings experience and knowledge from its sister company, Third Dimension Inc. Headquartered in Charlotte, NC, the custom box manufacturer started with two employees and now operates with 34. It ships to Canada and the U.S. from its locations in NC and OH. Each facility is equipped with the latest equipment to ensure boxes are printed quickly. CompanyBox’s mission is to be the producer of choice when it comes to online digital packaging suppliers. It offers custom digitally printed packaging at all volumes. “Investing in people, equipment, and facilities to meet these goals is very important to us,” says Louis DeJesus, president, CompanyBox. The manufacturer only uses digital technology to produce its 13 categories of packaging products, including mailers, shippers, point of purchase (POP) displays, and trademarked Event Trash Boxes. CompanyBox also produces subscription packaging to support e-commerce. All of its products are designed to increase brand awareness, including custom inserts as well as printed graphics and text featured inside the boxes. Although CompanyBox started in 2016, DeJesus says his journey towards custom packaging began 35 years ago when he worked for a corrugated company. “I was so tired of seeing plain brown boxes that I would print two-color images with a plotter and glue them to the outside boxes to present to my customers.” However, it wasn’t a perfect system. According to DeJesus, the glue bubbled and warped the paper, but it was these early experiments that brought his ideas to fruition. With this technology, CompanyBox produces graphics on corrugated materials with minimal limitations. Packaging and displays are customizable for target groups and regions. Customers take advantage of relevant pop culture events. “You only have one opportunity to make a first impression. Your package is that chance—make it count,” offers DeJesus. While CompanyBox is an all-digital packaging supplier, it still finds converting smaller volume orders at high frequency a challenge. High-volume orders are converted with cutting dies and flat die cutters that run at 3,000 sheets per hour. If using roll die cutters, a cutting die must be ordered, which can compromise lead time. “We are now playing with the idea of producing our own dies in house,” admits DeJesus. To streamline its smaller volume orders, the company recently hired a die maker. Despite these challenges, CompanyBox promises all orders ship within ten working days regardless of volume, which includes lead time for tooling if needed. In May 2018, CompanyBox announced its purchase of the HP PageWide C500 Press for high-quality digital post-print corrugated packaging. The investment supports CompanyBox’s all-digital plant strategy to meet brands’ demands for greater flexibility and higher customization in corrugated boxes, displays, and packaging. “We chose the HP PageWide C500 because of the print quality including the four-point text, color gamut, fine lines, skin tones, and barcode readability,” says DeJesus. CompanyBox also selected the device to help support the continued growth of its online digital packaging business to add capacity, and high-end printing and coating options. The press uses true water-based inks, which help the manufacturer support its food-based customers. “HP’s true water-based ink technology meets many stringent standards, including Swiss Ordinance and Nestlé Guidance,” adds DeJesus. The HP PageWide C500 runs over 65,000 square feet per hour (sf/h), giving CompanyBox much needed capacity. It delivers consistent offset print quality for a range of corrugated applications on both coated and uncoated paper, along with post-print process simplicity. The press handles boards up to 51.9×98.4 inches with an F flute to BC double-wall flute thickness. CompanyBox intends to support its new Luxe printing option on CompanyBox.com with the HP PageWide C500. This advanced option is the highest end printing the manufacturer offers and also includes soft touch coating. According to DeJesus, the Luxe printing option is exclusively produced on the HP PageWide C500 because it prints at 1,200 dpi. 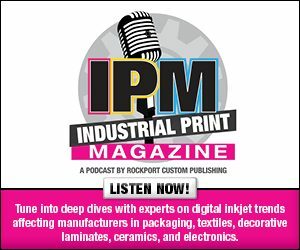 Compared to traditional manufacturing techniques, digital printing often requires a different mindset. The manufacturer is commited to bringing in new accounts, developing a new structure, laying out new artwork, producing anywhere from ten pieces to thousands, and shipping from CA to NY in ten days or less. This requires its inside sales employees to be trained in and understand graphics, prepress, most major graphics software. Unlike traditional manufacturing, digital printing also gives CompanyBox the ability to print interactively using HP Link Technology, which embeds a unique digital mark or link within the packaging and creates a personal media channel companies can update, personalize, and measure in real time. Since the content is virtual, DeJesus says users can update without needing to recreate the packaging. With the HP PageWide C500, CompanyBox intends to create custom packaging for retail, food, e-commerce, POP, and to address the packaging needs of the cannabis industry. As digital packaging is 100 percent its business, the manufacturer also plans on producing custom printed resealable pouches to match custom printed shippers. CompanyBox’s customers have unlimited opportunities both inside and outside their packages.